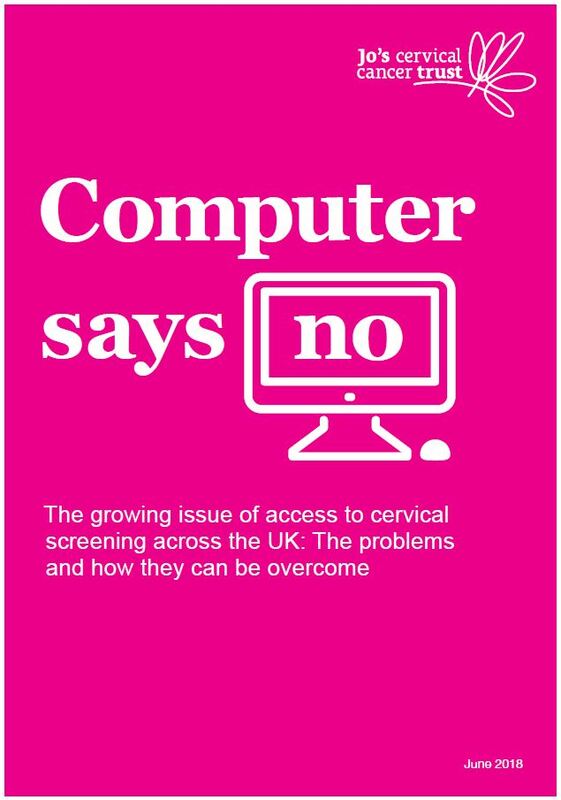 The growing issue of access to cervical screening across the UK, the problems and how they can be overcome. In the UK, we are fortunate to have excellent cervical screening programmes that save thousands of lives every year. However, of the five million women invited every year for screening, over one in four don’t attend. "The three times I did call the doctors to arrange an appointment they had no[ne] available to book at all"
"We are so, so lucky to have screening. I delayed attending my test for a while and when I finally went, I needed treatment for abnormal cells on my cervix. I don’t want to think about what could have happened if I hadn’t been able to attend when I did, it’s so important to go as soon as you get that letter through. I won’t miss an appointment again"
An audit should be undertaken in each country with Government, NHS, commissioners, providers and public health specialists working together to assess what more can be done to ensure all women can access cervical screening at a location, time and service appropriate to them. In England, the audit must include a review of the commissioning and delivery structure which has created confusion, inequality and a lack of accountability. The Department of Health must urgently conduct an immediate review of the IT landscape in England and commit to investing in a system which is fit for purpose, safe and future proofed. Women should have to wait a maximum of four weeks for an appointment in primary care. Early morning, evening and weekend appointments should be offered and where practices do not provide screening or do not have adequate resource to cope with demand, women must be provided with fully accessible alternatives. Changes to QOF, including those in Scotland, must be closely monitored to ensure screening is not being deprioritised or coverage declining. Action must be taken if a negative impact is detected. Local incentive schemes, targets and KPIs should be considered, especially when coverage is below national targets. An integrated approach to commissioning and delivering screening must be taken across primary care and sexual health to ensure cervical screening is available in the settings in which populations require. Adequate resourcing and funding must be allocated with procedures in places to prevent over screening. In England introducing a national budget line for cervical screening in sexual health services will support and enable local authorities to provide a service which is appropriately resourced. Funding is urgently needed for large-scale pilots on self-sampling and it is essential that pilots can count towards national coverage statistics to fully assess the impact. The robust IT system in Scotland presents an opportunity for such a pilot, findings of which will benefit the whole of the UK. Write to your MP to let them know about our new report and what needs to change. You can find out the contact details of your MP here and use this draft letter as guidance.